You’ll never be George Jetson. Yes, the cars in Blade Runner, The 5th Element and Back to the Future are cool, and who wouldn't want to push a button and take to the sky in their Honda Civic? But it's not going to happen any time in the next few decades, if ever. Frankly, the average driver can't be trusted with anything that breaks free of the earth. Plus, adding potentially millions of vehicles to the sky is a logistical nightmare that's sure to end in more than a few collisions that, unlike earth-based vehicles, would end with potentially hundreds of injured or killed bystanders. But that doesn't mean the only time we'll take to the skies for transit will be via international airports. Instead of flying cars, get ready for fleets of small "air taxis" zipping from hub to hub within a region, delivering passengers to their destinations. There's a reason Uber is so bullish on this idea -- it's an outstanding complement to its current business model. The company wants a world where you take an Uber to one of its flight hubs, hop into a eVTOL (electric vertical take-off and landing) craft and be whisked to another hub on the other side of town. You'd then finish the trip in, you guessed it, an Uber. It's also not too hard to imagine current airlines wanting in on the action too; most already offer commuter flights. Plus, of course, there's going to be an onslaught of random startups hoping to be the "Uber of the sky." But Uber's dream requires partners, new regulations, a change to air traffic control and an infrastructure that doesn't exist today. Plus, you need actual flying vehicles, whatever they might look like. Fortunately, there's commercial interest in building these air taxis of the future. Airbus' A3 and Aurora Flight Sciences (an Uber partner that happens to work with the DoD) are both working on eVTOL craft. Neither aircraft being developed by these companies resembles a car. Instead they look like futuristic tiny planes. Both take off like a helicopter but fly like a plane, which makes them perfect for short (under 50 to 60 miles) jaunts for two people. But as these get closer to full production (both companies are targeting 2020 for full-size test vehicles), it's clear that one of those seats will be filled by a pilot. "Pilot" is probably not what the person behind the wheel (or maybe joystick) will be called. Maybe a controller is the better description. Flying one these multi-rotor craft would be impossible without a computer stabilizing the flight with tiny adjustments being made to each motor at all times. A typical helicopter has two rotors that have to be adjusted constantly by the pilot. Adding six more to that mix and a human wouldn't be able to keep control. "It's obviously impossible to fly this plane fully manually. This plane has to be a fly-by-wire system out of the out of the box." said Diana Siegel, eVTOL program manager at Aurora. Full autonomy may come eventually, but like self-driving cars, a lot of work needs to be done. Ken Goodrich, research engineer at NASA's Langley Research Center, believes it might be 20 years before we see a pilot-less aircraft zipping around an urban area. "You'll certainly find people that say, 'oh no, you know that will happen in five years 10 years.' You know, truthfully nobody knows. But we probably will have to take an evolutionary process to get there, just like it's taking place with driver-less cars today." Autonomy won't stop in the air though. Air traffic control is going have to evolve to handle all these extra craft. According to Goodrich, at certain times there are as many air traffic controllers on the ground as there are planes in the air. 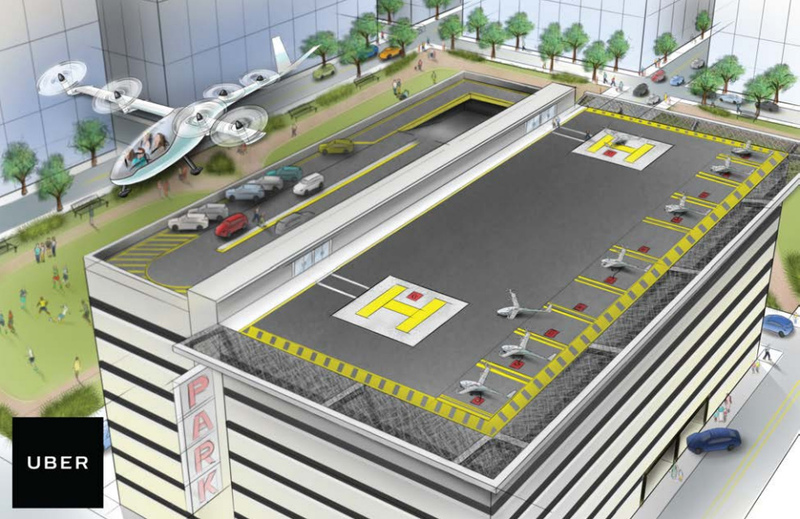 That model would be unsustainable if a city were to add multiple hubs and potentially hundreds of air taxis. "The individual's ability to manage airplanes quickly becomes an issue. If you try to scale that up, not only is it individuals that run into bottlenecks but just hand offs between individuals is also a bottleneck. It has to become much more automated," Goodrich told Engadget. 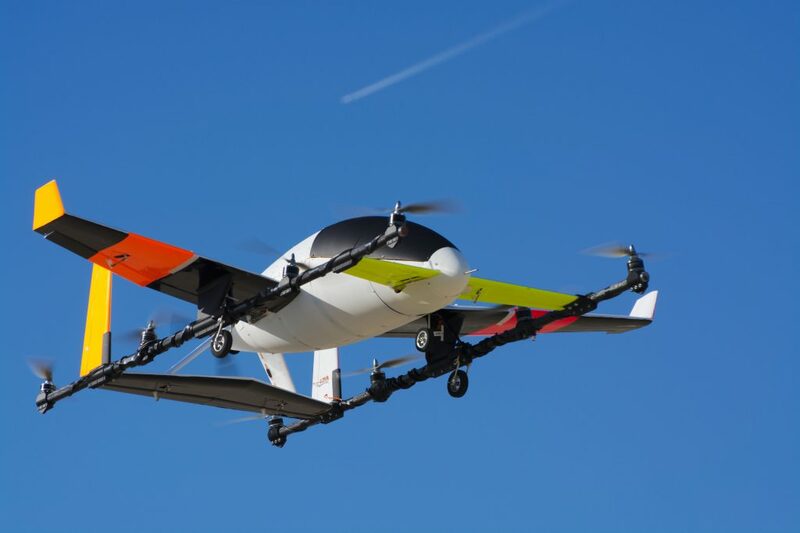 The FAA, for its part, has been talking to manufacturers and is "taking a flexible, risk-based approach to integrating innovative new technologies" said Ian Gregor, FAA public affairs manager. Gregor also noted that the agency is looking at the AI-controlled future, "Several areas need further research, particularly identifying the operational risks, making sure the automation that 'flies' the autonomous vehicle is safe, and how the automation will interact with the air traffic control system." Zach Lovering, project executive of A3's Vahana eVTOL, seems enthusiastic about the agency's course, "While it's true that historically the FAA has been slow to adopt new technologies, recent work being performed across many divisions of the FAA marks a significant shift in their approach. Not only is the FAA working to modernize the small aircraft certification process, but they are also working to integrate unmanned vehicles into our airspace." 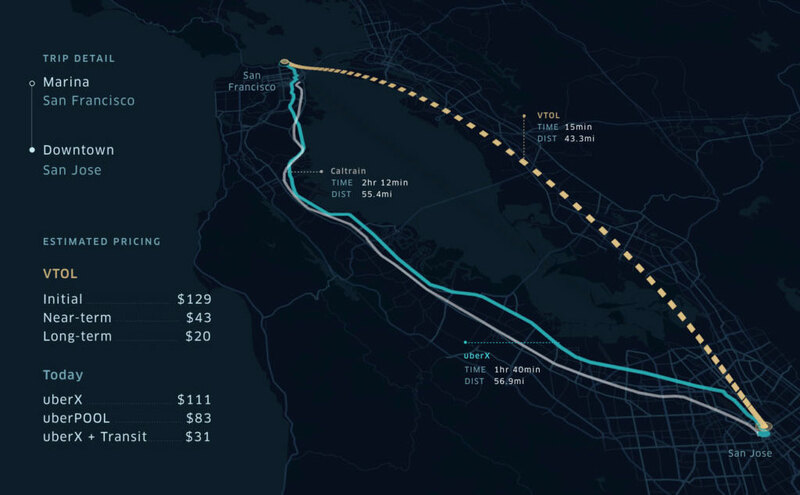 But even if the air taxis can fly and the FAA is ready to add them to US airspace there's still one big hurdle that technology might not be able to tackle: The people living near the hubs. The biggest issue will be sound. There's a reason houses near the airport are cheaper. That said, the creators of these aircraft insist that they won't be any louder than nearby roads. "Our design goal is really to be able to take off and blend in with road traffic that are 70-75 decibels," said Siegel. That's possible thanks to the electric motors that'll be powering the rotors on the craft. After the initial vertical take, the craft will fly forward like a plane and be even quieter. But potential neighbors will probably want to see a demonstration before they're cool with a tiny airport in their hood. Additionally, who will be the first customers? Taking a new type of car across town is one thing, flying in a new type of craft might take a while to catch on. Plus, there's a good chance that it's going to be way pricier than driving. In addition to the aircraft, you need a hub with landing spots, chargers, buildings and staff to act as local traffic control, customer service and maintenance. So initially it'll be confined to executives, Fyre Festival trust fund kids and lottery winners. But eventually, the rest of us would be able to ride across the town when we're in a huge hurry. Although for some, their first trip will likely be because of an emergency. These eVTOLs would make great ambulances in a congested urban area. However they're used and how soon the rest of us will be able to fly in one without a pilot is just a matter of getting full-size craft in the air which should happen in the next three to five years. Maybe sooner. I'm sorry, you're not getting a flying car, but if your grandchildren are lucky they might get something that flies to get them around town. "We think it's kind of funny when people call us a flying car — if Vahana is a flying car then so is a helicopter!" Lovering told Engadget. Siegel concurs, "If we can get away from [the phrase] 'flying car' that would be wonderful." So let's keep the cars on the ground. Because the sky belongs to something else. Welcome to Tomorrow, Engadget's new home for stuff that hasn't happened yet. You can read more about the future of, well, everything, at Tomorrow's permanent home and check out all of our launch week stories here.